An industry first, the Saber® touchless automatic features the Saber Navigation System™ illuminated dual wash arms with RGB color changing LED lights. The LED lights flash GREEN to encourage customers to 'pull forward,' BLUE for 'back up,' and RED so they 'stop' for washing. 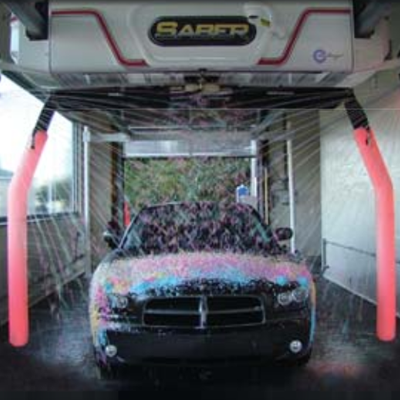 This patent-pending technology helps drivers confidently and quickly position their vehicles in the wash bay. The Saber® by Belanger is a commitment to your in-bay success. Designed for rapid and sustained return on investment, the Saber® is 'Wash and Dry Ready' with standard features that include Auto-Resetting Breakaway Arms, DuoDry™ system, triple foam pods and complete solution delivery system!